An Office Delivery with a Difference! Anyone who has visited us at FormsPlus recently will have noticed that we had a big celebration amongst the team this summer. Our Print Administrator, Kayley married Tal Saunders in Manaccan Church on the 18th May. They had a gorgeous day for the wedding and Kayley looked stunning. 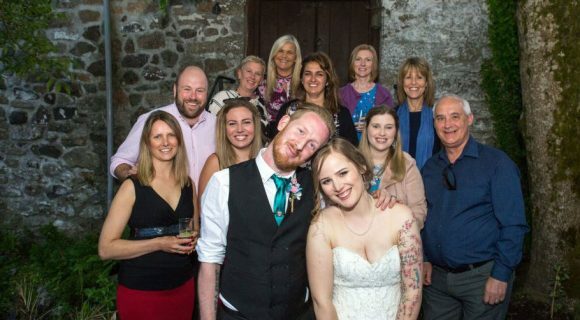 As we had all shared the excitement and preparations, we were looking forward to joining Kayley and her family for the evening at the Crasken Eco Centre near Helston for the Reception. What was a little more out of the ordinary was the visit we received in the middle of the afternoon. 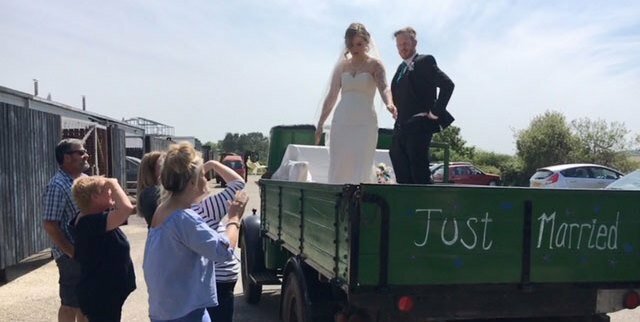 Kayley and Tal travelled to their Reception in style on the back of the family’s classic Morris Commercial LC3 and on the way they stopped off at the office. A real delivery with a difference! 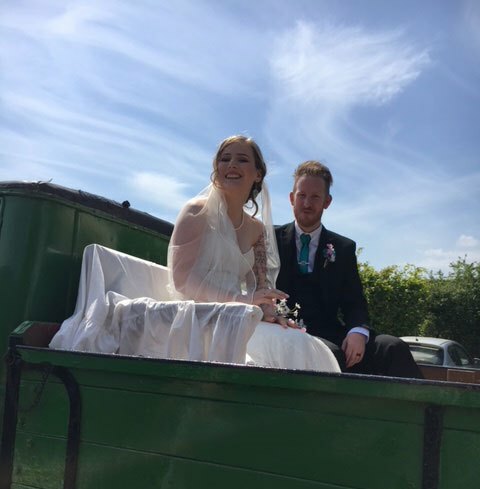 We will let you guess whether or not we joined them on the back of the truck for a lift to the Reception, but we all had a fabulous time. All our love and congratulations to Tal and Kayley!